On my recent visit to JEM in Jurong East, I discovered that a few new restaurants have popped out of nowhere. One is Kogane Yama and the other is Nipong Naepong. I have heard some really good reviews of Kogane Yama and I am going to try it out for myself. 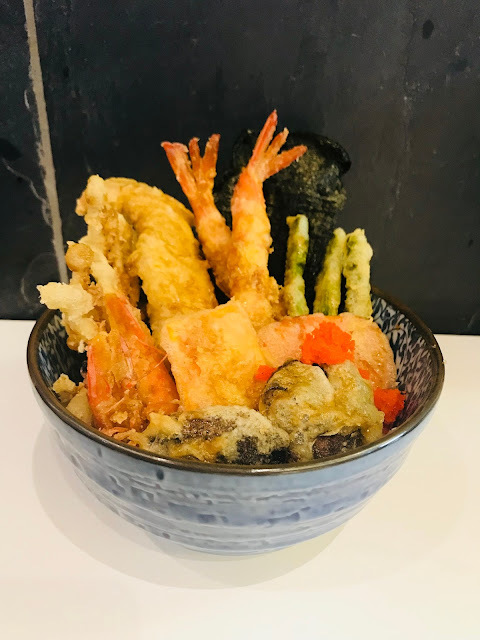 Kogane Yama has a concise menu of only 4 types of Tendon Bowl and 4 donburi bowls. 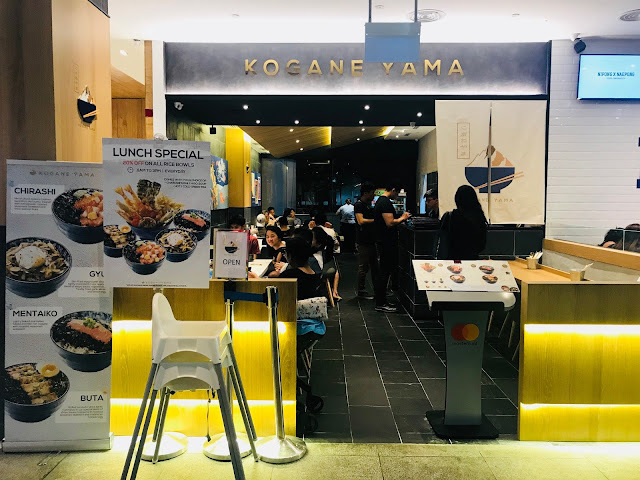 Kogane Yama specialises in Tendon Bowl and you can choose from Mixed Bowl [$15.80], Chicken Bowl [$13.80], Prawn Bowl [$13.80] or Vegetable Bowl [$11.80]. Mixed Bowl consists of shiitake mushrooms, long beans, prawns, sweet potato and chicken fillet. I find the tempura a little soggy, unlike Tempura TENTEN’s Special Tendon which is served piping hot. 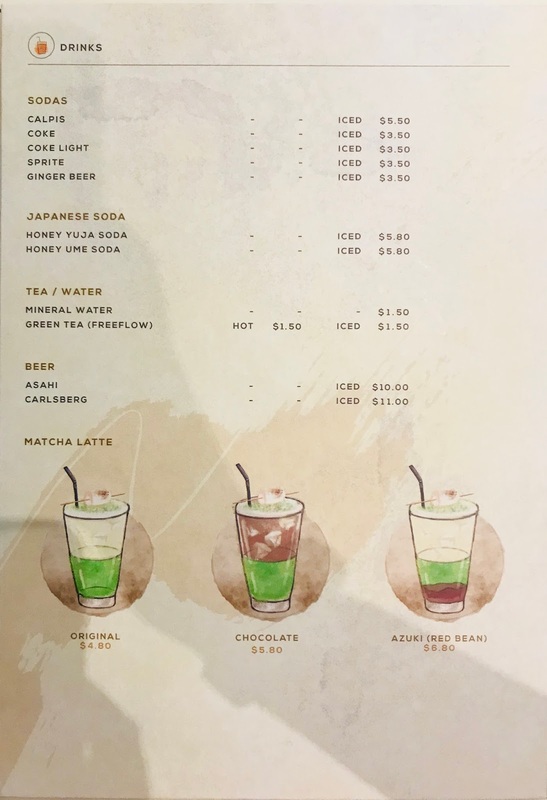 Top-up $2.50 for a set meal that includes chawanmushi/miso soup and a cup of hot/cold green tea. Besides Tendon Bowl, Kogane Yama also serves 4 types of Japanese rice bowl known as donburi. 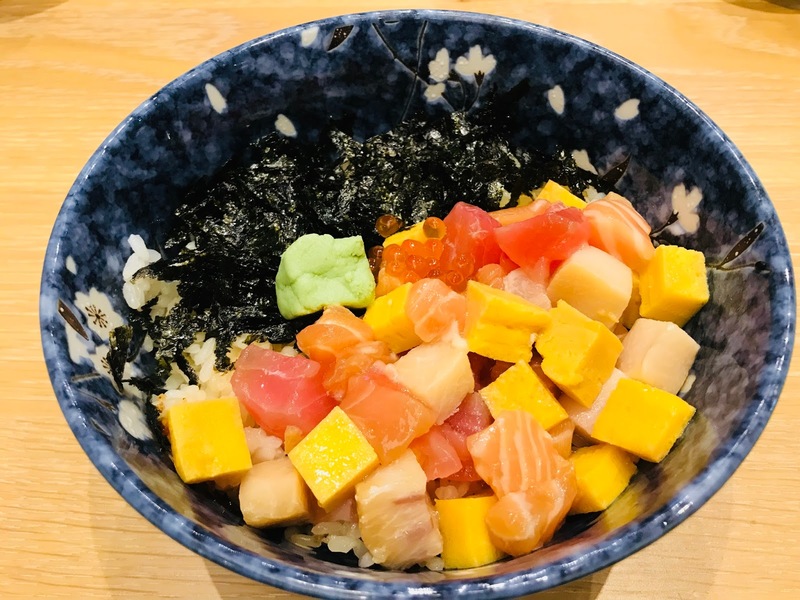 Chirashi Bowl [$18.80] consists of diced salmon, swordfish and tuna sashimi together with tamagoyaki lies on a bed of sushi rice, topped with roasted sesame, seaweed and fresh salmon ikura. The sashimi are fresh, but the portion is not worth the price. The rice only fills 3/4 bowl and there is only a thin layer of sashimi. 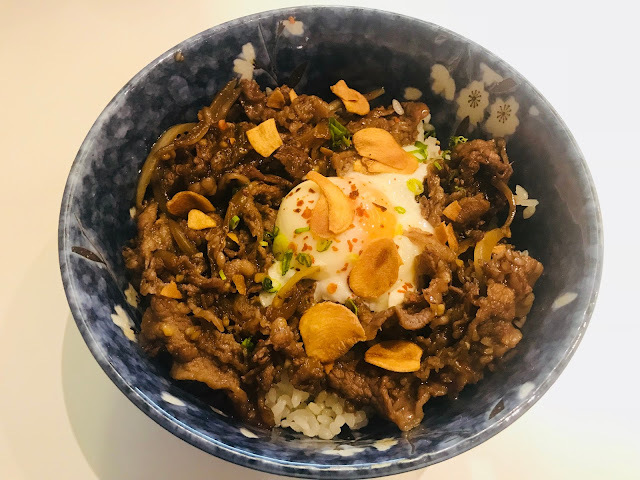 If you are looking for the ultimate comfort food, go for the Gyu Bowl [$16.80]. 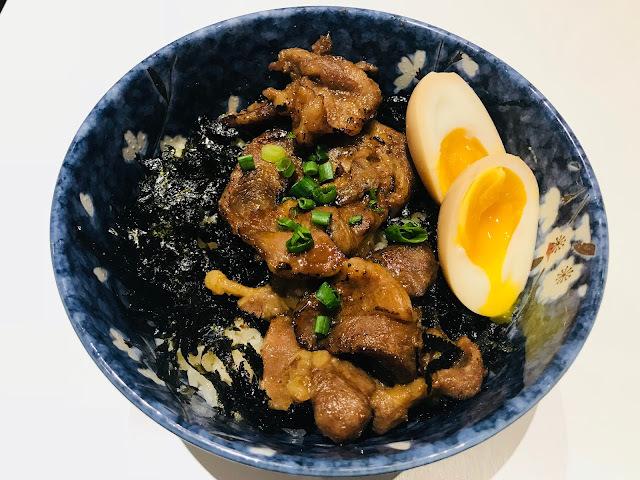 The wagyu beef sliced are well-marinated in Kogane Yama’s special shoyu blend before being stir-fried, topped with freshly-fried garlic slices and an onset egg. The onset egg blends everything perfectly when you mix everything up, it is so good I wanted a second bowl the moment I took my first mouthful. I have seen boxes of mentaiko being sold in Tsukiji Market when I visited Japan, but I didn’t dare to buy any because I had no idea how to eat mentaiko on its own. Mentaiko Bowl [$18.80] pan-fries a whole piece of mentaiko till it is fully-cooked and serves it with rice and seaweed. You can either enjoy the accompanying dashi broth on its own, or mix it in to enjoy it as Japanese Zosui (Japanese rice soup). I find the marination of the kurobuta slices in Buta Bowl [$15.80] a little salty for me, but it is otherwise the perfect donburi. 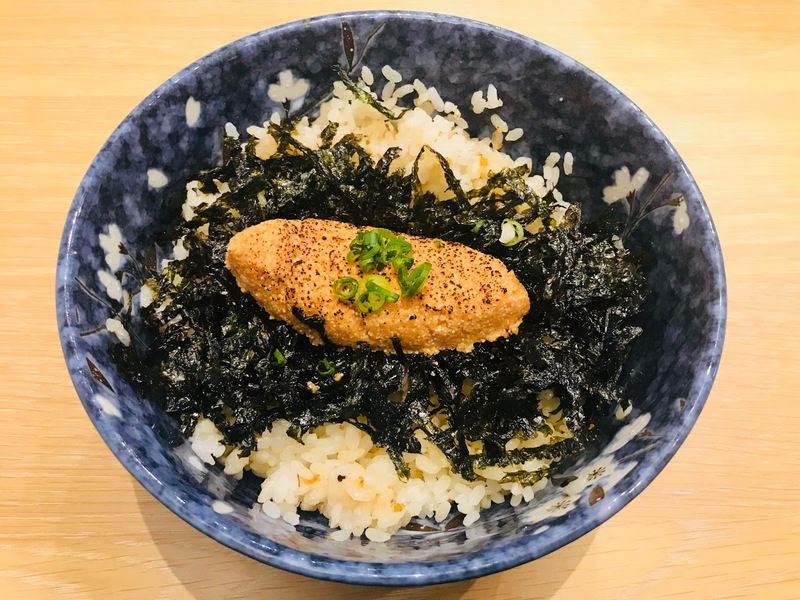 Served with roasted seasoned seaweed and harajuku egg, it is perfect for someone looking for a bowl full of porky goodness. Kogane Yama also serves 6 detectable sides to compliment your meal. 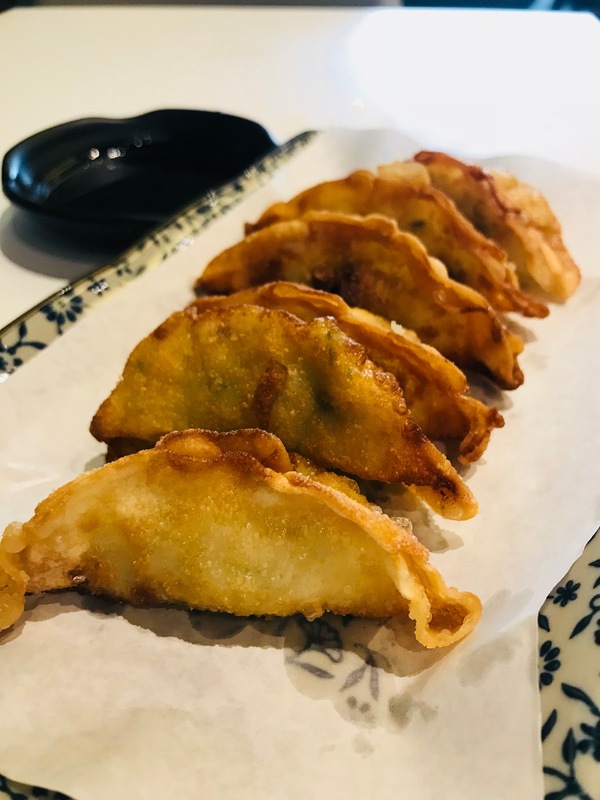 The Gyoza 6 Pcs (Pork) [$8.80] is a little over-cooked but otherwise delicious. I look forward to trying out the Smoked Salmon Salad [$9.80], Soft-Shell Crab [$9.80] and Harajuku Egg [$2] on following visits. Besides the usual sodas, tea, water and beer, Kogane Yama also serves its own creation – Matcha Latte in Original [$4.80], Chocolate [$5.80] and Azuki (Red Bean) [$6.80]. 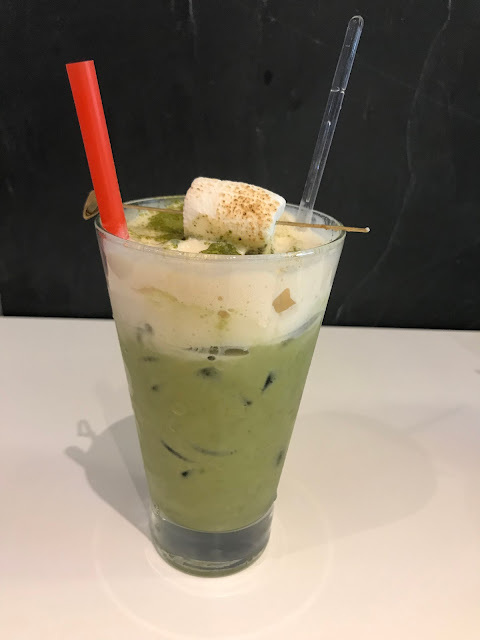 I got the Matcha Latte Original and the roasted marshmallow on a stick is a pretty interesting touch. I like the concise menu so I don’t have to spend a long time deciding on what to eat. Service is fast and the prices are reasonable. This is definitely a place I can see myself coming back time and again for a quick meal.